Whether you want to sit up or lay way back, the amazing design of the Hammaka net chair will conform to your needs. 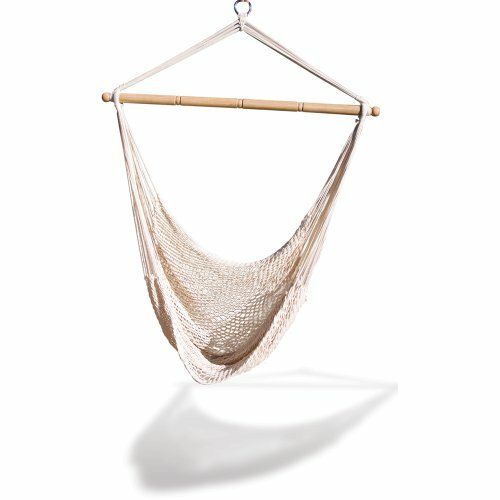 The 100% cotton net will cradle your whole body allowing you to snuggle for hours and the Indonesian hardwood spreader bar will with stand the rigors of use for many years to come. If you have any questions about this product by Hammaka, contact us by completing and submitting the form below. If you are looking for a specif part number, please include it with your message.